The use of registries in orthopaedic surgery has evolved since the first one was created in the 1970s for arthroplasty surgery. Today they are used by many orthopaedic subspecialties and often include patient-reported outcome measures in addition to the traditional end point of revision surgery. 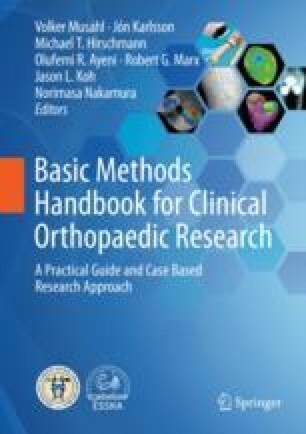 The primary goals of these registries are to improve patient outcomes through detecting implants or surgical techniques with inferior results or early failures and to identify prognostic factors that may influence choice of treatment and outcome. By collecting a large amount of data and following outcomes over time, registries are an extremely valuable research tool that can lead to high-quality and potentially practice-changing studies. Annual reports provide feedback to surgeons, hospitals, government, and society as a whole and can also impart regional or surgeon-specific data. In designing an orthopaedic registry, one must be cognizant of the limitations and challenges to be overcome. Since the strength of a registry is based on the accuracy and completeness of the data, a high compliance rate is crucial and represents the greatest challenge. In the future, it is expected to see more international registry-based collaboration and the expansion of current surgical registries to include non-surgical patients. This chapter will explore the expanding role of registries in orthopaedic surgery with a focus on why these databases are so important. It will include examples from the Norwegian Knee Ligament Register and tips on how to maximize the usefulness of a register.